Absolutely gorgeous shots from your Redwood trip. 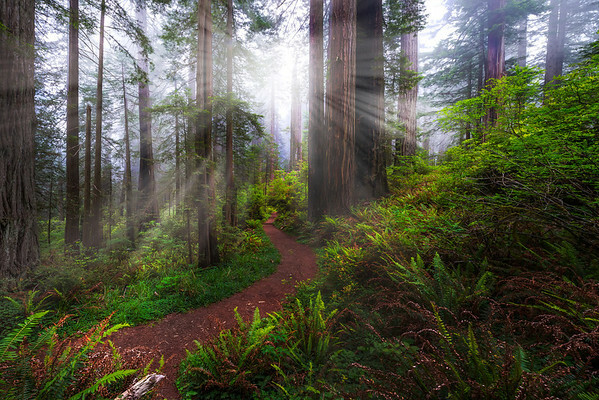 I just love the first one the most with the curved walkway leading to what seems to be heaven beyond the beautiful redwood trees and God rays! Also LOVE your coastal work.....you never cease to amaze me. Whole album is awesome!